Using a mobile device when touring is becoming more of a necessity – unless you really to want to get away from it and be technology or screen free. Many caravanners and motorhome owners will carry at least a mobile phone or tablet to either find or research their holiday destination or to share updates of their adventures via social media – and maybe even keeping up to date on those e-mails. And if you’ve got children or teenagers in tow, connecting to the internet is going to be high on your list of caravanning priorities. Many caravan and motorhome sites will have WiFi, but connections can be slow on a busy campsite. A combination of multiple users going online at peak times, the variables of your pitch location, surrounding vegetation, your caravan structure and also the weather conditions can make for a patchy and slow connection. You can try using your mobile network, but with many rural campsites, not all phone networks have a great signal. 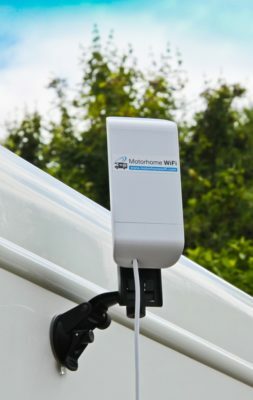 Many tech savvy caravan and motorhome owners now carry a mobile Wi-Fi hot-spot device – also known as M-Fi – so they can stay connected. You can avoid using the same network as everyone else on the campsite, so should enjoy faster connection. Wherever you can get a mobile phone signal you can get on line via the Mi-Fi’s wireless network. Some devices will let you connect up to 10 devices to a single hotspot. There are a number of Wi-Fi booster devices available which will allow you to set up your own personal hotspot and connect multiple devices to the campsite’s Wi-Fi. Here we look at some of the devices available so you can stay connected, show off your caravanning or motorhome photos and post those updates on social media. To use this device you’ll need an existing Wi-Fi network. So either connect it to the onsite Wi-Fi or a Mi-Fi device. 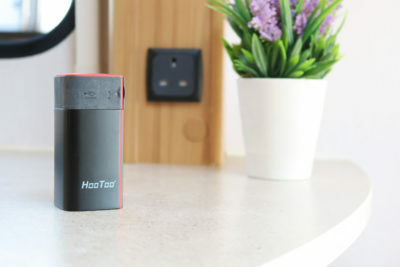 The HooToo will bridge the campsite’s wireless network to create your own secure Wi-Fi hotspot, which is great if you’ve got a number of devices you wish to connect at the same time. Features also include: Being able to share photos and movies across the connected devices and a built in power bank to allow you to charge an average smartphone up to three times. Again, this kit relies upon an existing Wi-Fi network on the campsite. 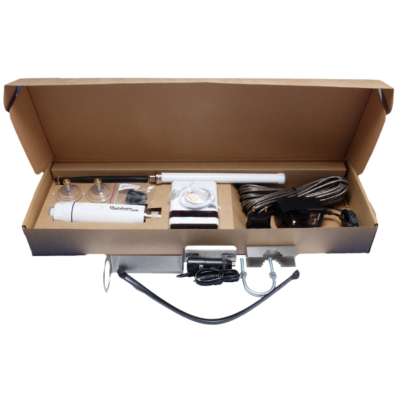 It works in a similar way as the HooToo, the benefit however of this set up is the antenna that can be mounted externally to a motorhome or caravan to gain a stronger signal. The Solwise kit will boost a weak WiFi signal between the aerial and the router via the included USB connection. Features also include: Compatible with all Wi-Fi devices, suitable for use in the UK and abroad, multiple devices can connect to it at the same time. Visit Solwise.co.uk or see this product review. Using an internal micro router and suction mounted, powerful external antenna, will create a secure Wi-Fi network inside your caravan, allowing you to connect all your devices wirelessly. Like the previous kits the iBoost Pro D8 works in a similar way, the difference here is how well the antenna can boost the signal. If you’re located in a pitch that’s some distance from the site Wi-Fi, this should be able to gather a respectable signal. Features also include: Optional carry case to protect the equipment in transit, 90 degree field of view to boost your connection, local hotspot range of up to 50 metres. Visit Motorhome WiFi for more information. What if there is no Wi-Fi on site? First of all don’t panic! With a mobile Mi-Fi router device and a data SIM card you can create a Wi-Fi hotspot to connect multiple devices and get online – just like you would connect to a wireless router at home. You simply insert the SIM, switch it on, connect your devices to the Wi-Fi hotspot it generates and you’ll get online. You can either use a “Pay as you go” SIM and top it up as you go or invest in a monthly contract. Huawei make a number of MiFi devices and this is one of their most popular – giving you 4G internet access from any mobile phone networks. Simply choose your data SIM card and produce your WiFi hotspot! Features also include: Wi-Fi connection for up to 10 devices, six hour battery capacity, two antenna sockets, and a LCD display. See Huawei E5577 on Amazon and video from caravanner Dan Trudgian on how to connect this device and the HooToo. 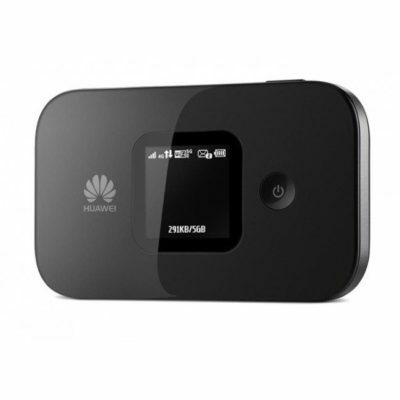 Like the Huawei this is an unlocked device, meaning you can use any network and any SIM card. It’s worth shopping around for the best deals in your area, many mobile networks such as VodaFone, EE O2, and 3 have great deals on data only Sims. This router can also create a wireless network for up to 10 devices. The LCD display tells you the signal strength and how much data you’ve used. From June 15th many phone providers will offer free EU roaming, so you’ll be able to take your sim card’s UK data, texts and minutes usage anywhere in the EU as part of your mobile phone plan. It also means the devices above can be used on the continent with a UK data SIM card – at no extra cost. 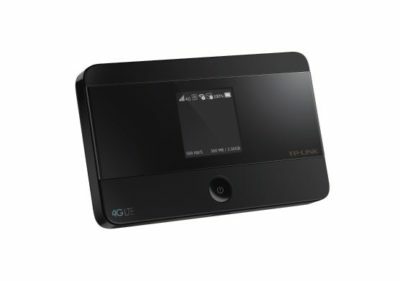 Got any advice to share on using the kinds of devices, or have any tips on getting the best internet connection. Feel free to share your comments in the box below. And don’t forget to vote in this month’s community poll about using Wi-Fi or going screen free! Last year we took the plunge and bought a kuma wifi booster kit. We have a static caravan with no Wifi on site except in the site clubhouse where its free,our caravan is sited about 150 yards from the clubhouse and it picks up the free wifi signal no problem, I did not even have to put the booster outside the caravan to get a signal, it also picks up a whole host of other wifi signals from further away. When in albuferia we use a local data sim, it’s about 17euros for 15 days unlimited data ideal for streaming. But when in the south of France we use a ee data sim with 50GB for £30 per month and cancel after the fist month, but remember to limit the data to 50GB otherwise you will get charged extra which is very expensive. If any body knows of any think better please post. I used VOIP for many years when I lived in the USA so I’ve become quite the ‘untrained expert’. The long answer is to buy the Solwise Patriot Wi-Fi booster kit as the router gives you a network port to plug your VOIP phone box into, if you are in a location without wifi you can unplug the usb wifi antenna and use a 4g data dongle instead. There many be a simple answert too, your VOIP provider should have internet managment for your service and you may be able to simply divert all your calls to a cell phone. Thanks Dave, that’s very helpful. hoping someone who is more techy than me can help ? i run a business and use VOIP phones which i usually plug into a modem internet connection at home and used in USA SPain and France. However this year i am looking to travel Europe in our Caravan and also work daily and need to connect to internet and also be able to use a VOIP phone does anyone know what i can use or if even i can do it ? many thanks in advance. Some of the devices mentioned in this post should help Terence. Or speak to your park operator to see what boosted services they might be able to offer. You state you purchase 24GB data costing £48 which lasts for 2 years – does this mean you are restricted to using 2GB per month or can it just be used on demand in a short space of time and then purchase another as necessary? Sounds great Jay. Thanks for sharing. Unless you need to connect more than your smartphone and, say, laptop, just tether the phone to the laptop and use your existing mobile data allowance. You can then be online on phone and laptop with no kit or SIMS etc to buy. If your allowance is small or you think you’ll need lots of data, many providers will allow you to increase your limit for a month or buy one off extra data e.g. Tesco Mobile one off data bundle is £5 for 1Gb. Site wifi is fine until later in the day when lots of users join the network, many of whom try to stream. Any android or apple phone can be used as a modem. I gave my mifi away three years ago. There are loads of free apps that let you just connect online as you would any wireless router. What the EE for £4.95 is as I have been looking got it online but can’t find it? What is this please, looked online but could not find it! What are you trying to find John? We use an EE Osprey2 wifi device on a pay as you go basis,And up to now have found it to be very good and at less the half the price of the items you are showing. Wi-Fi boosters may “boost” the signal but what happens to the bandwidth. If the original bandwidth is low the “boosted signal” will still be low and as such won’t be of any better. Or have I missed something? The EE at £4.95 is most sensible. Why exclude it from the review? Thanks for letting us know about the EE device. We simply can’t include all products but please feel free to share a device you have found useful.